I still have vivid memories of my childhood, from around the time I was about 5 years old, when my grandfather and mom took me to church. Those where the first steps in my Christian life that marked the beginning of my search for the abundance in Jesus Christ and our Eternal Father’s purposes in our life. The number of messages, talks, and conferences about God and Jesus that I attended, were more than I can count. Strangely, I don’t remember a single one that was about God’s purpose for businesses, the entrepreneur or money. That is how I grew up with the familiar, cultural, social and “Christian” mentality that Christians are not called to have businesses. About 5-10 years ago, I was part of a Christian circle that affirmed much of the above phrases. However, God in his grace, brought me to the Nehemiah Center to work with the Kingdom Business program. 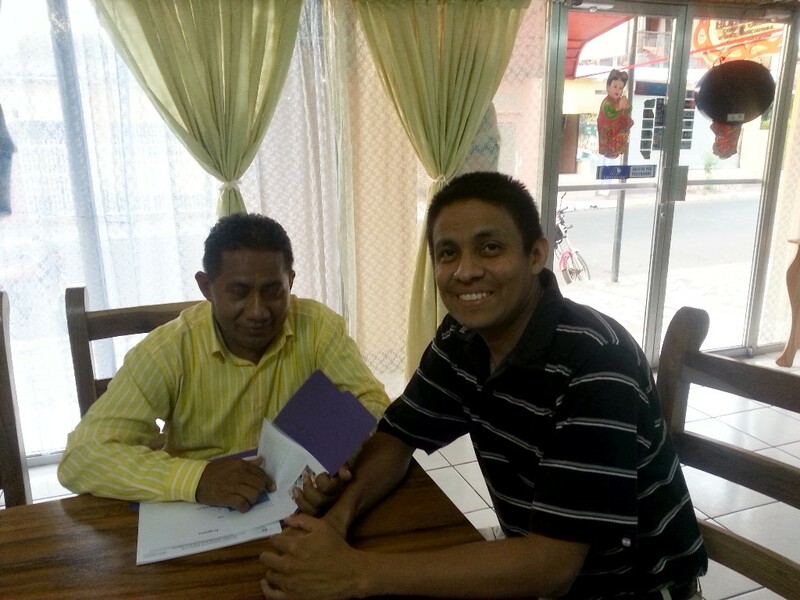 With some doubts concerning how I could be the right person for this mission and not yet convinced that Business was part of God’s plan, I began the journey with this Program and walking alongside of numerous business people in Leon and Chinandega. They taught me a lot. One of the first things that God reaffirmed in my life, is that everything belongs to him. This includes, to my surprise, Businesses. My worldview was amplified understanding that the problem was not money, but rather, putting money above God. That money is not a sin but rather the love of, attachment to and excessive trust in money. I have learned that God is not opposed to money but rather the accumulation of riches for impulse, squandering and excess of personal luxury. As well, I am learning that in the world of Christian entrepreneurs there are many challenges however, I don’t see these obstacles as problems anymore but rather as opportunities. Remembering that it is all in accordance with the heart of God which has become one of the slogans of the Kingdom Business program. We continue to work and grow in Business for God’s Kingdom. Forming Businesses in accordance with the Heart of God! It usually begins with a dream, and then an encouraging word, and a plan forms to make that dream a reality. For Yamileth Duarte, this is exactly how her desire for a dental clinic began, as a dream that was made into reality by the encouragement of her husband and faith in God’s plan for her life. 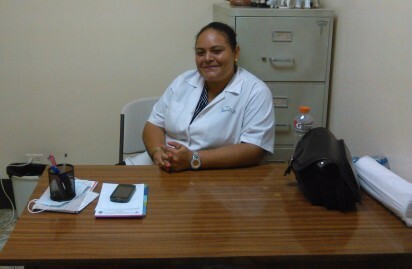 Yamileth began her career in dentistry as an assistant but longed to have her own dental clinic. Now she has been the proud owner of a dental clinic based out of her home in Leon, Nicaragua for over 10 years. She continues to see the blessings in her life as she was able to open a second dental clinic, approximately two months ago, in collaboration with a local private clinic. This allows Yamileth to work regular hours in the private clinic and reserve her home based clinic for emergencies and irregular office hours. Through her church, Yamileth learned about the Kingdom Business program of the Nehemiah Center and began to receive numerous trainings offered through the program. Thanks to this program Yamileth has acquired knowledge about better customer service, good management skills and about how to appropriately evangelize to her clients. However, one of the most valuable lessons she has learned is that everything she has belongs to God which gives her the motivation to be a better steward of all that God has given to her. 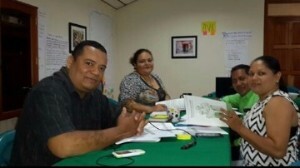 Recently, the Kingdom Business program assisted in the formation of an Association of Christian Businesses that will serve businesses in Leon and Chinandega, Nicaragua. As a surprise, Yamileth was elected as treasurer of the Board of Directors and is excited about the new opportunity to be of service to her fellow business people. Yamileth continues to praise the Lord for all of the blessings she has seen in her life and depends on God’s provision as she looks to the future growth of her dental clinic and all the challenges that encompasses. To contribute to the formation and empowerment of Business people based on Christian principles, for the development of local mentors and the establishment of Business networks that impact their surroundings. Click to watch a 1 minute explanation of the Kingdom Business Program. A sneak peak at what the Nehemiah Center’s Kingdom Business program is all about; being good administrators of the abundance and riches that God has given to us.